The Sons Of Liberty - There Must be Consequence When it Comes to False Accusations! 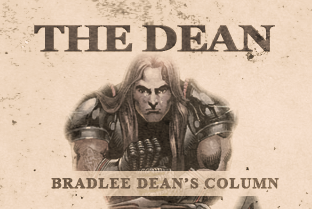 Home - The Dean-There Must be Consequence When it Comes to False Accusations! There Must be Consequence When it Comes to False Accusations! It seems that over the last couple of weeks the CIA-controlled media has, once again, succeeded in diverting the American people’s attention away from The Clintons’ Uranium Ore scandal to the fall guys that are conveniently picking up the attention for their sexual promiscuities in office, and that, at a most opportune time, Al Franken, Bill Clinton, Dan Schoen, Tony Cornish and the list goes on. These corrupt politicians have been so emboldened to take taxpayer dollars in an attempt to cover up their sexual misconduct. Hopefully, this will bring to the light why this country is in the serious trouble that it is in (Psalm 9:17). In a time where the media has declared the guilty as innocent and the innocent as guilty, it is hard, at times, playing the arbiter when it comes to who is guilty and who is not. Yet, for the most part, when the media declares someone innocent, it usually means that they are attempting to protect the establishment players such as the Bushes, the Clintons, the Obamas, etc… And when they declare someone guilty, you can rest assured, that they are the innocent that are bearing the accusations (John 15:20). Last week, I wrote that the very ones who are accusing the innocent are the very ones who are guilty of the crimes. These are the corrupt politicians who are attempting to ruin men of good character while attempting to keep them out of the Washington D.C. machine. One such individual is Judge Roy Moore. Conveniently, at a time when Senate Majority Leader Mitch McConnell was becoming unhinged at the prospect of Roy Moore winning the senate seat for Alabama, out of nowhere come Roy Moore’s accusers. Joe for America reported, the now infamous “Yearbook Signing” that Gloria Allred trotted out yesterday, along with the accuser who gave the worst acting to come out of California in decades, has multiple problems that prove it to be fake. Then we have Darrel Nelson, the stepson of Judge Roy Moore accuser Beverly Young Nelson, who says the allegations are all lies. Nelson says he is baffled by the timing of the sexual advancement claims and voices his staunch support for the Alabama GOP Senate candidate. “I’ve known the woman, she married my father many, many years ago. I’ve known her for a while now, and I truly do not believe that she’s being honest about this,” said Nelson. Later, Nelson acknowledged that he knew he was going to get backlash from his family, but said clearing up the false allegation is worth the trouble. I do not believe a word of it either, and neither do the American people. This is why he was up 15 points in a recent poll concerning his run for senate. What is important here is that when the dust settles, and these accusers are found to be false witnesses, which is a violation of law, it is not for the good of the people in this country to slap these accusers on the hand and let them go and accuse someone else. These false accusers are attempting to destroy the lives of innocent men, period. And the consequences of the accuser! Just down the street in Williamsburg were the head and arm restraint stocks, which were located right outside of the local courthouse. A historian and re-enactment actor was outside educating the people who had questions. One question asked was: “What is the head and arm restraint stocks for?” The actor said that before and after the revolution, the local magistrates would administrate Ecclesiastical Law (Romans 13). She went on to tell us that crime was not tolerated in the least bit by the colonies because they understood the price paid to establish their freedoms (John 15:13). The stocks were used for those who would lie or commit the act of perjury (lie under oath, Revelation 21:8). The criminal would be punished by being thrown in jail for up to six months (1 John 3:4). A fine would have to be paid, and this all took place after their head and hands were placed in the stocks as a means of public punishment. First, they would bind them, take the criminal’s ear and nail it with a long nail to the stock for one hour. After that hour was up, they would then go to the other side and nail the other ear to the stock for one hour. She ended with saying that it was to teach the person to repent before God so he would not end up in hell (Matthew 3:2; Leviticus 19:17). Can you imagine the “earmarks” we would see today in the American church, government or in businesses if these laws were still enforced? How they loved their freedoms by demonstrating zero tolerance for crime (Deuteronomy 23:14). One witness shall not rise up against a man for any iniquity, or for any sin, in any sin that he sinneth: at the mouth of two witnesses, or at the mouth of three witnesses, shall the matter be established.